Any insight on Microsoft OLAP Cubes and using Vertica with it would be great. 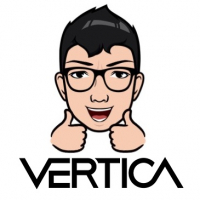 I attached a great document titled "JOURNEY TO VERTICA+ROLAPSOLUTION". I used it as a basis to successfully replace SSAS MOLAP cubes with ROLAP cubes in Vertica at one of our clients in St. Louis!